Would you like to hear the voice of God more readily as you read the Bible? Would you like to meditate on Scripture but don't know how to begin? Would you like a way to energize your small group study or your Bible class at church? If so, this meditative commentary series is for you. While there are many helpful commentaries and workbooks for Bible study, this series aims to help in a new way. Employing the classic Christian practice of HOLY READING, it provides a method and structure for meditating on the word of God. 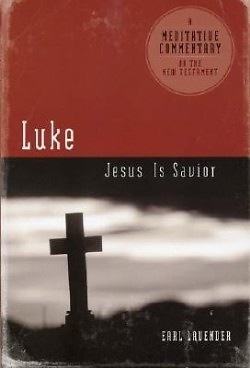 The beautiful story of a savior is portrayed in the Gospel of Luke from the birth to the death and resurrection of Jesus.